The Indian Railways is the world's third largest rail network and encompasses all kinds of geographic locations. While that is interesting, it is not unique. However, considering Railways massive presence, it generates eye-ball grabbing events on a constant basis. The Indian Railways is the world’s third largest rail network and encompasses all kinds of geographic locations. While that is interesting, it is not unique. However, considering Railways massive presence, it generates eye-ball grabbing events on a constant basis. And one of these never-heard-before facts is designed to leave you surprised. This interesting case pertains to the Bhiwani Mandi railway station. A ‘not-so-big’ railway station’s location is certain to make you wonder about how things turn out on the ground. To cut to the chase, let us reveal that the station falls in two different states. Yes, you heard it right! Bhiwani Mandi railway station falls in both Madhya Pradesh and Rajasthan. Geographically speaking, Bhawani Mandi is a city and a municipality in Jhalawar district in the state of Rajasthan. At this station, the ticket distributing clerk sits in Madhya Pradesh and distributes tickets, while the commuters buying the ticket standing in Rajasthan. Confused? 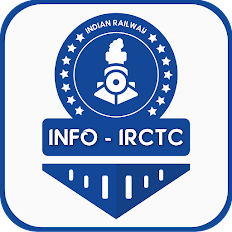 Actually, the station has been built on a location that its ticket booking counter falls in Mandsaur district of Madhya Pradesh whereas the entry gate of the station and the waiting room falls in Jhalawar district of Rajasthan. Whether that was by design or accident is still uncertain. 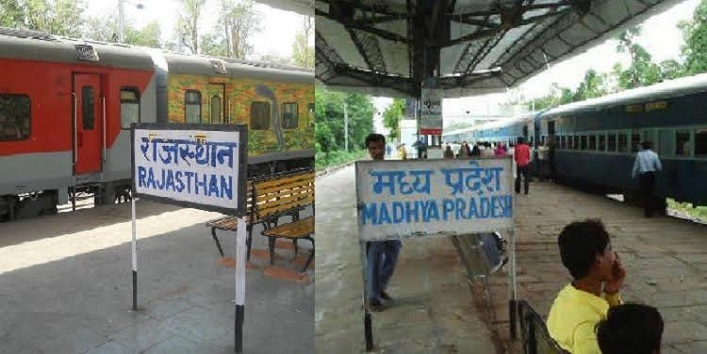 Interestingly, one end of the railway station has a board of Rajasthan whereas the other end reflects Madhya Pradesh. Southern end of the station is part of Rajasthan and the northern end belongs to Madhya Pradesh. As per a report by Lallantop.com website, between 8,000 – 10,000 travellers commute through this railway station. Bhiwani Mandi railway station connects as many as 375 other stations directly and nearly 50 trains pass through its platforms. However, this is not the only railway station in India which falls in two states. Similarly, there is another station that adjoins two states of the country. Navapur railway station located in the border of Maharashtra and Gujarat is equally divided between the two states. Just like Bhiwani Mandi, trains stopping there halt on the border of two states and boasts station plates of both the states side by side.